In lieu of doing player-by-player 2018 reviews, we’ve decided to go position-by-position. This 10-part series should be some #content so Chad gets off my back until Spring Training, when we’ll start previewing the 2019 team position-by-position. First up: Starting pitchers. As you can see in the chart, the Dodgers’ rotation ranked rather favorably last season. They rank even better in terms of National League teams, as they ranked first in each of the above stats in the NL except for innings pitched (6th, behind Colorado, Arizona, Washington, New York and Atlanta) and fWAR (2nd, only behind the Mets). 11 different pitchers started games for the Dodgers in 2018, but four of them made three or fewer starts. Seven of the 11 started 15 or more games, and nine of the 11 are currently Dodgers. This was Kershaw’s “down” year, as it was the first year since 2010 that Kershaw failed to receive a single Cy Young vote. While his numbers were still fine for 90 percent of pitchers, by Kershaw standards he had a rough year. His ERA and WHIP were his worst since 2010. His FIP was his worst since 2009. His 155 strikeouts were his fewest since 2008, when he was 20 years old and didn’t get called up until the end of May. Last season, Kershaw hit the DL on May 1 with biceps tendonitis. He returned on May 31st, only to hit the DL once again with lower back tightness. He missed about three weeks with that injury, but returned and didn’t miss a start for the rest of the season. When he was healthy, Kershaw was mostly effective. However, he wasn’t the dominant Kershaw that we’re used to. This doesn’t mean Kershaw didn’t have his moments. Kershaw was fantastic in August, as he allowed one or two runs in each of his five starts and completed eight innings twice, which he didn’t do in any of his other 24 regular season starts. Kershaw had one scoreless outing in the regular season, a six-inning, two-hit effort in San Diego in July. In the postseason, Kershaw was … what you’d expect from postseason Kershaw. He was dominant in NLDS Game 2 against the Braves, tossing eight shutout inning and allowing only three base runners (two hits and one HBP). Kershaw also shoved in NLCS Game 3 against the Brewers, as he allowed one run in seven innings while striking out nine. Kershaw also made a relief appearance and struck out two of three batters to close out the NLCS and send the Dodgers back to the World Series. However, the rest of Kershaw’s starts were bad. In NLCS Game 1, Kershaw allowed four runs in three innings. He was hurt by some poor defense, but that excuse doesn’t really fly when you allow a dong to the opposing (relief!) pitcher. Kershaw also labored in game 1 of the World Series, as he allowed four runs and seven hits in five innings in Boston. He was *OK* in Game 5 of the World Series, as he recovered from a two-run first inning to get through seven. He allowed four runs on three dongs during the game, and the Dodgers only managed one run and three hits in seven innings against David Price. While Kershaw’s struggles were tough to watch at times, Buehler provided Dodger fans with the reality that they likely won’t have to wait long for another perennial Cy Young candidate. Buehler’s overall stats are slightly worse than his stats listed above, as he had one disastrous inning of relief in 2018. However, Buehler really came into his own and developed into arguably the Dodgers’ true number one starter. Buehler turned it up down the stretch, as he allowed two earned runs in his final three scheduled regular season starts. He got the ball in Game 163 and tossed 6 2/3 innings of one hit ball against the Rockies to give the Dodgers the NL West. Buehler struggled in his first two postseason starts, allowing nine runs in 13 innings in NLDS and NLCS Game 3s. He settled down nicely, allowing one run in 4 2/3 innings in NLCS Game 7, on the road in Milwaukee. He made his only appearance in the World Series count, as he shut the Red Sox out for seven innings in the Dodgers’ lone win of the series. Wood actually led the team with 27 games started. He wasn’t quite as dominant as his All-Star/ninth place in Cy Young voting 2017 season, but Wood still turned in a solid season in 2018. Also unlike the season before, Wood didn’t really experience a serious dip in velocity as the season went on. Wood’s sinker averaged between 88.9 and 90.7 MPH in every start this season, and only increased to 91 MPH after being moved to the bullpen to end the season. Wood’s solid season ended on a poor note, as he struggled throughout the playoffs. He tossed 6 2/3 innings over nine playoff appearances and allowed four runs on eight hits, three of which left the yard. He tossed a big scoreless inning in Game 3 of the World Series to set up a Max Muncy 18th-inning walk-off, but that was probably the highlight of his postseason run. The Dodgers will have to replace his innings as he was sent to Cincinnati in the Yasiel Puig trade. Maeda was primarily a starter until August, when he was moved to the bullpen in hopes of recapturing his postseason bullpen magic from the year before. That did not happen during the regular season, but Maeda put together a solid season as a starter and was great out of the bullpen in the postseason. Maeda has struggled a bit to go deep in games in his career, and last season he threw six or more innings in only seven of 20 starts. After recording double-digit strikeouts only once in his first two seasons, Maeda did so three times in 2018, all three times coming against NL West opponents. Unfortunately, Maeda also issued four or more walks in a game more times this season (three) than he had in the previous two years combined as well. Maeda actually owned a 3.12 ERA heading into the All-Star break, but allowed 16 runs in his first four starts after the break and was moved to the bullpen for the rest of the year. Ryu has a long list of injuries, so it shouldn’t be all that surprising that he missed three months in 2018. However, when Ryu was healthy, he put together his best season by far. Ryu made 15 starts and allowed zero earned runs in six of them. He had three starts each of one, two and three earned runs allowed and struck out eight or more batters six times. Ryu only issued more than one walk three times, although he did allow double-digit hit totals twice. Ryu (controversially?) was named the Dodgers’ Game 1 starter in the NLDS over Kershaw. He responded by throwing seven shutout innings and striking out eight Braves. His postseason success ended there, as he failed to complete five innings in any of his three other starts and allowed 11 runs in 12 innings. Hill pitched in a sanctioned Major League Baseball game with D. Mountain on his jersey. Why do we not talk about this on a daily basis? 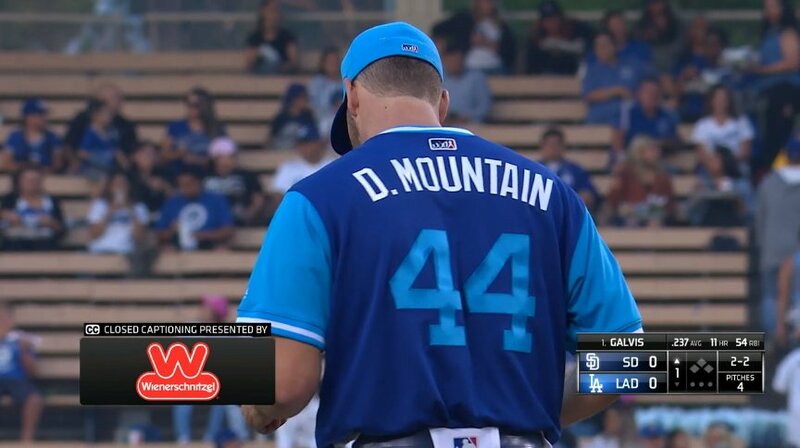 The Dodgers have been in the World Series in consecutive years and the D. Mountain game is probably my most fond memory. Never forget. Whether he was Hill or Mountain, Rich put together his worst statistical season as a Dodger. He ate up innings when he was healthy, as 13 of his 24 starts lasted six or more innings. Hill missed time in April with a finger infection and had a weird May. After leaving a start against the Reds with a blister, Hill made his next start five days later but left after throwing two pitches and ended up missing a month. Hill faltered a bit down the stretch, allowing four runs in each of his first three September starts. However, he rebounded by allowing a single earned run in his last two starts of the regular season. In the postseason, Hill turned in three solid starts (and a scoreless inning of relief). In NLDS Game 4, Hill walked five batters but held Atlanta to two runs over 4 1/3 innings as the Dodgers scored five in the later innings to take the series. In NLCS Game 4, Hill allowed one run and three hits over five innings in a game the Dodgers took in 13 innings. His most complicated start came in the World Series, as Hill threw six shutout innings before issuing a leadoff walk in the sixth. After a strikeout, Dave Roberts went out to talk to Hill, and Hill assumed he was being pulled. This led to a Scott Alexander walk, followed by Ryan Madson allowing a three-run dong to cut the Dodgers lead to one (in a game the Dodgers would go on to lose 9-6). Wouldn’t have happened if he wore his D. Mountain jersey (I joke because it hurts). Stripling made the All-Star team in 2018, and the Dodgers still ended up with six starters posting higher fWAR’s. Stripling began the season coming out of the bullpen and had scoreless outings in nine of his 10 relief appearances in April. He started on April 30 (on one day of rest) and allowed four runs and eight hits in four innings. After another relief appearance, Stripling grabbed a spot in the rotation on May 6 and 20 of his next 21 outings were starts. In 15 starts from May 6 to July 29, Stripling posted a 2.76 ERA and struck out 100 batters to only eight walks. He was skipped for a start, and after a six-inning, one-run game in Colorado, Stripling hit the DL with a back injury. Stripling made five more appearances (four starts) in September, but failed to complete four innings in any of those starts. He was left off the postseason roster. These four pitchers combined to throw 21 innings. Ferguson made three starts in June before being moved to the bullpen, where he became a very good LOOGY. Stewart made two starts in May and allowed five earned runs in eight innings. He made seven relief appearances as well, but was shut down with an oblique strain. Hudson and Alexander each made starts despite being used primarily as relievers this season. Hudson started in place of Dennis Santana, who was scratched from his first big league start on June 7 and missed the rest of the season with a rotator cuff strain. Alexander started the Dodgers’ only experiment with an “opener” in 2018 and allowed a run in 1 1/3 innings in Colorado. 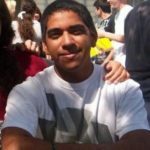 I've been writing about the Dodgers since I graduated from Long Beach State, where I covered the Dirtbags in my senior year. I'm either very good or very bad at puns.